Are you ready? We are... Meet the Ready Pack: It's everything you need! People will see you in this! We now have a few Redline Guiding performance t-shirts available for those who love the color red and want to flash our brand, so to speak — there’s a logo over the left breast. The shirts are Ultra Club’s “Cool and Dry” series and they fit and feel great. No cotton here because, well, you don’t want to be caught dead in one of those things. Fit is standard. Available in S, M, L, and XL (while supplies last). Only $25 postpaid ($20 if we hand it to you). 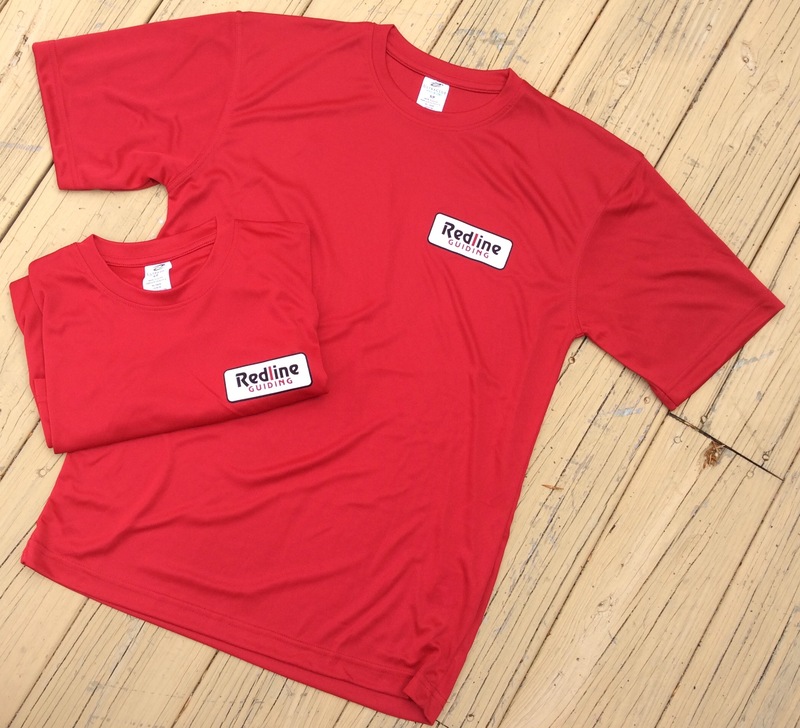 To get your Redline Guiding t-shirt, order today by emailing us, calling us at 603-617-8788, or sending us a message on Facebook! We're proud to work cooperatively with the U.S. Forest Service, under a federal permit, while guiding in the White Mountain National Forest of New Hampshire. We're happy to report that we are "Recommended by Trip Advisor" thanks to the consistently high ratings we've earned. Click to read what people are saying. It is with great honor to our community and its visitors that we are members in good standing with the Mt Washington Valley Chamber of Commerce. We proudly adhere to the seven principles of Leave No Trace whenever we head into the wild places we so cherish. We encourage our guests to show the same respect.